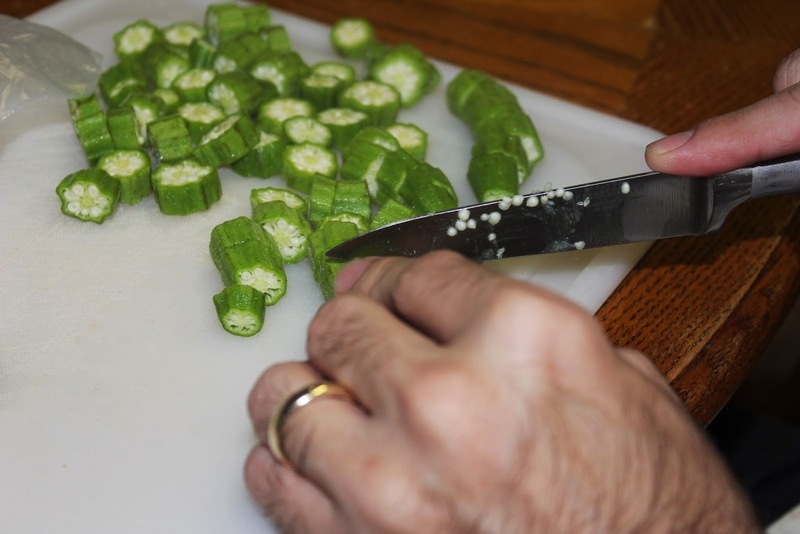 Husband chopping okra. It’s his favorite side dish. We have a CSA this year and okra is one of the few crops that survived a summer of constant rain and little sunshine. Now it’s September and I’m still getting a pound or so a week, hence I’ve become a bit of an expert at okra frying. Sometimes we roast it too. That’s a lot less work and healthier. But it’s just not the same as a mound of okra fried crispy alongside a homemade meatloaf and some mashed potatoes with a sweating glass of sweet tea. Wash okra and remove stems and ends. Chop into half-inch thick pieces. Place in a shallow dish and pour buttermilk over to soak. In another shallow dish (or gallon size ziploc bag) mix cornmeal, salt, and pepper. If you don’t have cornmeal, you can use plain flour, but cornmeal gives a good crunch. Dredge okra pieces in cornmeal mix (or drop by the handful into bag and shake). Spread pieces evenly on a rimmed pan and place in the freezer for 15-30 minutes. This helps the batter set and keeps it from falling off in the grease while you’re frying. Pour oil into a large skillet, you want it about a 1/4 inch high. Heat on medium until it sizzles when you sprinkle cornmeal grains on it. Drop okra in hot grease (carefully!) and cook, stirring and turning, until golden brown and crispy. Serve hot. P.S. It’s best to do this while the biscuits are cooking. The timing works out well. 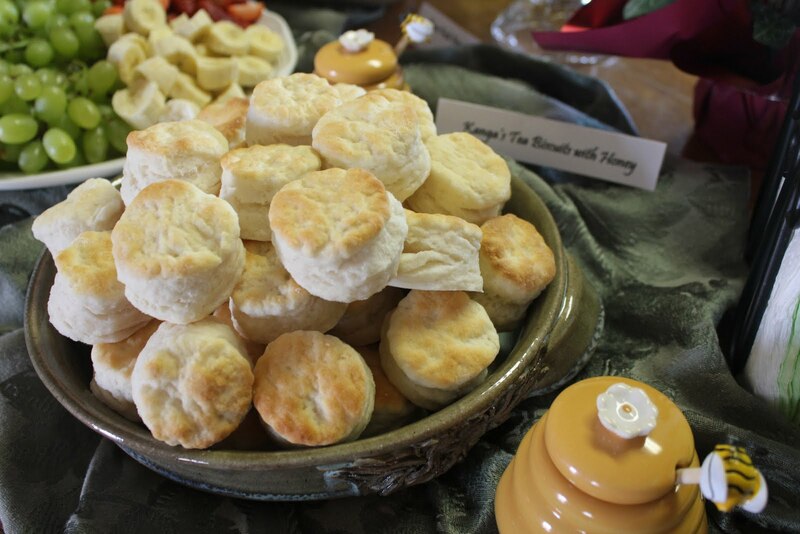 Did I mention my mother is an amazing southern cook and taught me everything I know? Although recently she actually said buying frozen breaded okra is a sight easier than making it yourself. I nearly fainted from shock.